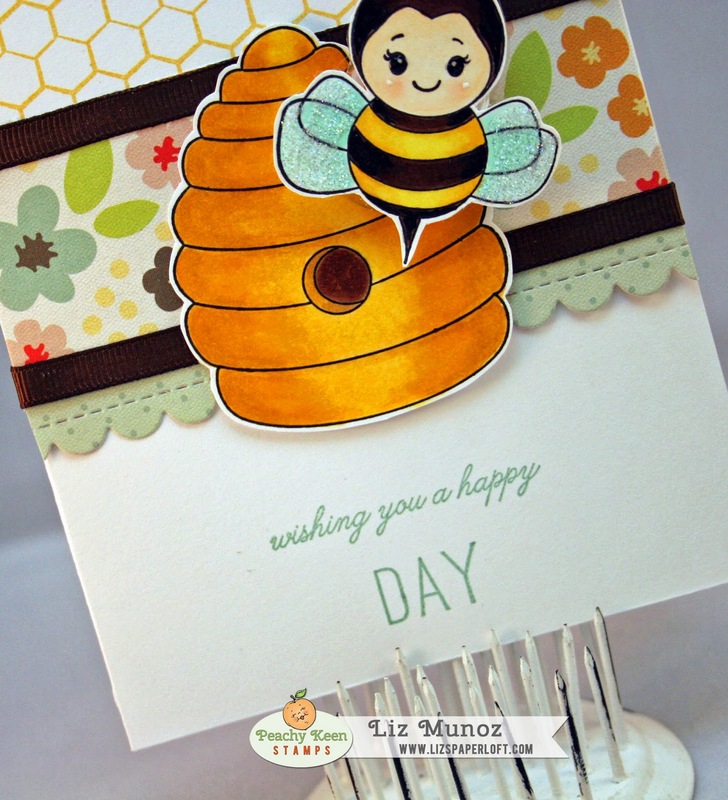 Liz's Paper Loft: PKS Sketch Challenge ~ Wishing You A Happy Day! Good morning and Happy April Fool's Day! Wow, I don't think I've said that for years! lol! Well, it's no joke here that us girls on Peachy Keen design team has a busy day planned for you! First, we have a sketch challenge for you and later today we will be showcasing the April Release Sneak Peeks! So gather your supplies and create something wonderful to share with us by uploading here! Be sure to pop in later today to see the newest release! This is too cute, Liz! 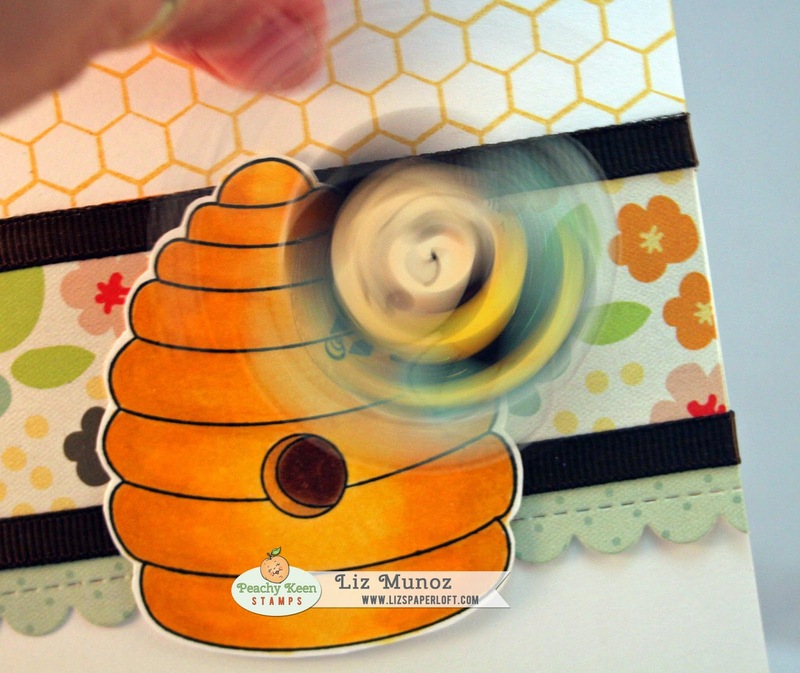 I just love that you put your little bee on a wobble!!! How super adorable is this!! LOVE your take on the sketch!!!! Liz ~ Oh my goodness ~ this is ADORABLE!! 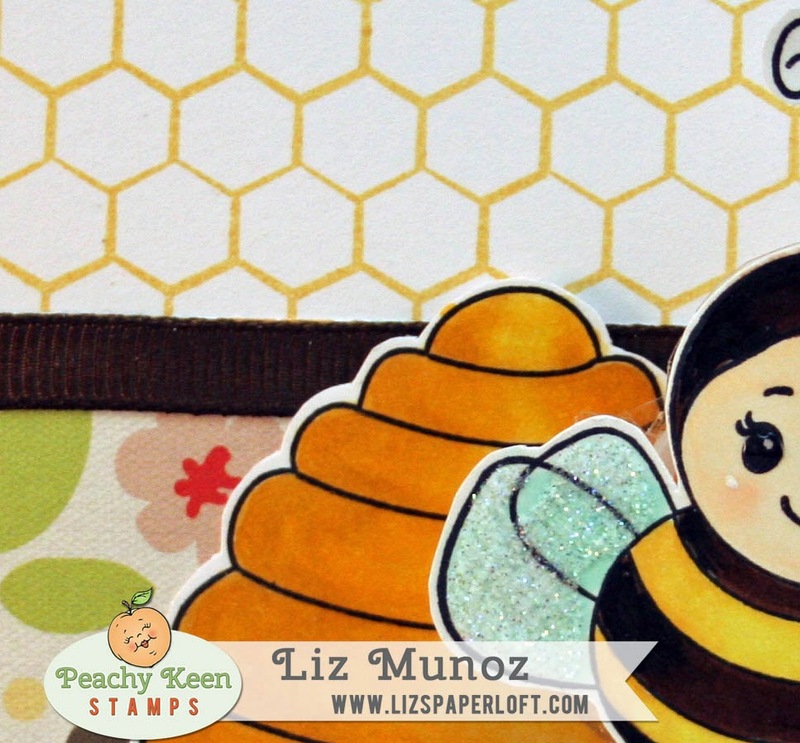 Oh Liz ~ your coloring is AMAZING!! LOVE the whole design and materials used! As always BEE~TUIFUL!